The last time we checked in with Cooper Bowman he was pumping out weird, stone-age techno under the name Roman Nails. For his latest venture, Coop is taking a step back from the synth to launch Drawing Heat; a new record label focusing primarily on unearthing gold from Australia's rich but under-appreciated experimental techno underground. The label's first release will be a 12” platter from Newcastle producer Collector; the latest project from Jason Campbell, who's been gigging around the Newie noise scene as Stitched Vision. Where Stitched Vision was a project that layered synth melodies over one another in a dense fog, Collector is remarkably stripped back and pummelling industrial techno. We had a chat to Jason ahead of the release of his Collector LP. Noisey: Collector is wildly different than the stuff you had been playing previously as Stitched Vision. What prompted you to move away from the dense, often melodic sounds of that project into the harsher techno of Collector? Jason Campbell: In many respects Collector is the antithesis of Stitched Vision, though both projects do share some similarities. SV was focused solely on synth layers that were processed and obscured by various effects, perhaps straddling the middle-ground between meditative and harsh. I needed to draw a line under this work and move on to something that reflected my wider interests in music -industrial, concrète, techno, so Collector became the vehicle for this. 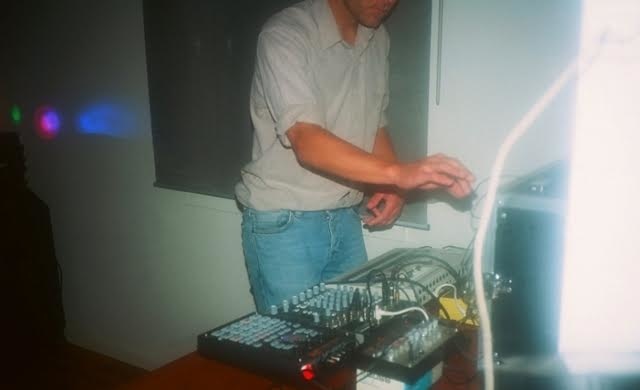 Throughout this time I was also playing in a power electronics duo, Tailings, which acted as an appropriate and logical bridge between the two projects. Newcastle has always had a pretty incredible underground scene, especially for a town of its size. Where do you think this comes from? Newcastle is a strange place, no doubt about it. It kind of has a foot in both the blue collar past associated with the steelworks era, and the new vision towards regeneration and the gentrification of the suburbs. I think this cultural tension that exists has definitely helped foster a pretty bent experimental/noise community. We don't have many of the opportunities and facilities of the larger cities, so we are forced to be inventive and really industrious in order to get things done. It keeps us grounded, and I'd like to think that it is reflected in the music that is created. We definitely call a spade a spade in Newie. For a lot of the electronic musicians that I've talked to, especially those leaning towards the more experimental side, the process of building a track seems to be pretty improvisational. What's your process for creating a Collector track? All of my work is quite tightly composed actually. I grew up playing in bands, so I've found myself comfortable with the writing process. I have played with other artists in improvisational settings, but for any Collector pieces I have a pre-conceived structure that I usually adhere to. I'll brainstorm an idea away from my equipment and write down a rough structure in my phone - how I will layer my sources and what rhythmic patterns I think will fit. I'll make a patch, try and create the tone I'm after, record a few takes, and pick the best one. I think it's best to keep things simple and not jam a track to death. How important is the hardware you use to the sounds that you're trying to create with Collector?